Derek Conrad Murray’s MA ’04, PhD ’05 recently published book, Queering Post-Black Art: Artists Transforming African-American Identity After Civil Rights (2016), arose from his interest in “post-blackness,” a term that emerged in the art world in the early 2000s, and immediately became a controversial and hotly-debated topic. “Post-black is not a category of art, nor is it a genre of creative production—but is rather a theory of visual representation and aesthetics, mobilized to unpack the aesthetic and conceptual particularities of post-Civil Rights generation visual artists,” he said. “The artists in the book are thinking visually about how racialized blackness has been imaged historically. “Since the term made its way into the public consciousness, it became clear that black queer voices were beginning to emerge that were attempting to envision black identity in such a manner that gave them recognition and a sense of humanity. Post-black became a powerful means to construct an idea of blackness that was more inclusive of those who are queerly identified,” Murray said. “It was not a post-racial stance, as it is often mischaracterized, but rather a means to visually construct a notion of black identity that resisted hetero-patriarchal values. An interdisciplinary theorist, Murray also studies theoretical approaches to identity and representation. He has contributed to leading magazines and journals such as American Art, Art in America, Parachute, Art Journal, Third Text, Consumption Markets & Culture and Nka: Journal of Contemporary African Art (Duke University Press), where he currently serves as associate editor. Murray also serves on the editorial advisory board of the prestigious British journal Third Text, as well as on the editorial board of the College Art Association’s Art Journal. He came to Cornell to study under Prof. Salah Hassan, the Goldwin Smith Professor of African and African Diaspora Art History and Visual Culture in the Africana Studies and Research Center and a professor in the Department of History of Art and Visual Studies. “Salah was at the time emerging as a major figure in the field of contemporary art of the African diaspora and that was an area of great interest to me,” Murray said. Murray came to the field of art history and theory after spending time working as a painter. Though it can be a rough transition, Murray said his time as an artist formed a strong foundation for his academic work, allowing him to “really understand how art objects are made and not romanticize or mythologize what an artist does. “Artists are rebellious by nature, and I think I bring that sensibility to my intellectual work. It encourages me to resist dogmas and the respectability politics that is often demanded of those engaged in art historical study,” he said. He found the Cornell graduate school’s interdisciplinary field system refreshing. 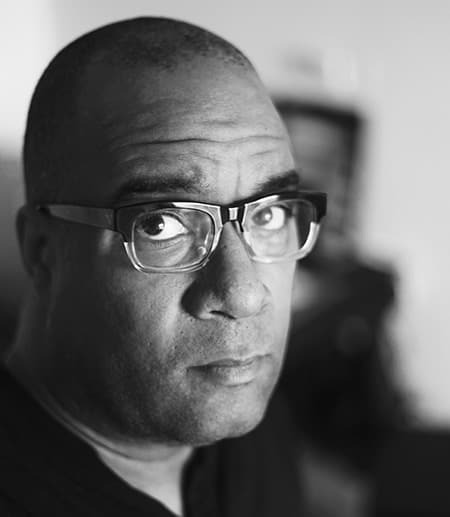 Murray’s research focuses on contemporary African-American artists, but he’s also been getting press lately for his research into self-portraiture in the internet age, otherwise known as “selfies:” the ubiquitous photos people often post of themselves on social media. That interest came out of a studio class Murray taught for photography majors at the University of California Santa Cruz, where he is an associate professor. He noticed many female students focused on self-imaging, but rather than understanding their work as self-indulgent or narcissistic, Murray found the women’s work was often political and rebellious. His first article on the topic, Notes to self: the visual culture of selfies in the age of social media in the journal Consumption Markets and Culture broke records for that journal’s downloads, brought media attention in major outlets and resulted in a number of speaking invitations and paper presentations, Murray said. He’s now conceptualizing a book, compiling the best papers on the topic. Along with his writings on selfies, Murray is at work on two book projects: Regarding Difference: Contemporary African-American Art and the Politics of Recognition (Manchester University Press), which explores the representation of black identity in a global context and a monograph dedicated to photographer Robert Mapplethorpe’s flower photographs.